While “mincemeat” sounds like it refers to a savory dish containing minced meat, mincemeat most often refers to a mixture of sweetened dried fruit and spices. Looking back at the history, there was a time when mincemeat refered to a savory mixture of meat and fruit, as well as a time more recently when it sometimes included animal fat. These days, most commercially available mincemeat is just the fruit, sweetener and spices – and it is a delicious addition to holiday pies, tarts and muffins. 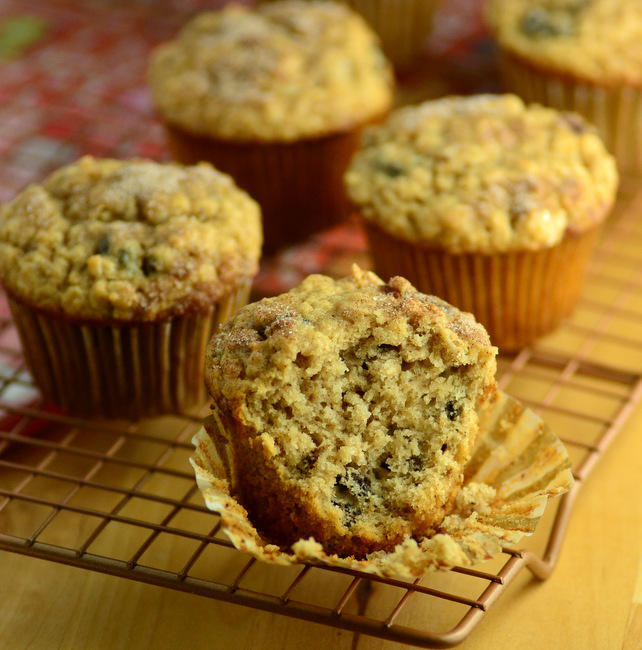 These Mincemeat Oatmeal Muffins are a good choice for breakfast or brunch on a fall or winter morning. The muffins have just enough oatmeal to give them some substance, while maintaining a tender crumb. 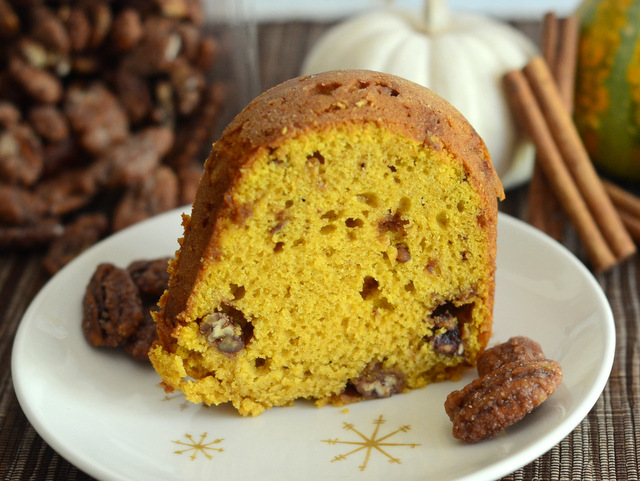 They’re packed with bits of fruit and plenty of spice, so they’re warming and really taste like the holidays in every bite. You can make your own mincemeat and there are many recipes out there to choose from. 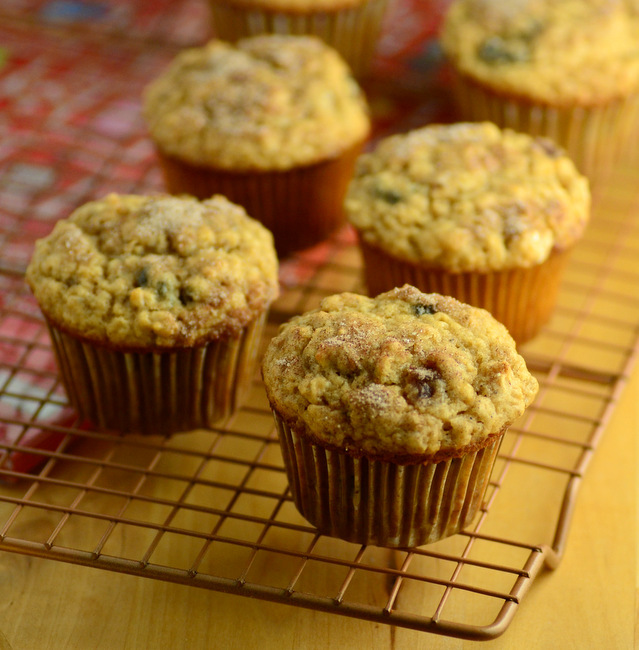 You can also buy commercially prepared mincemeat – None Such is a very common brand that you’ll find in most supermarkets – and that is what I used in these muffins. Prepared mincemeat is somewhere between a jam and a chutney in texture, and it should be primarily made of of small bits of fruit. Simply stir it into the batter to evenly distribute the fruit throughout. I like these without nuts, but you can stir in up to 1/2 cup of chopped, toasted nuts if you like a little crunch in your muffins. The muffins are finished with a sprinkling of cinnamon sugar, which highlights the cinnamon that is in the muffin batter itself. They’re outstanding when they are still slightly warm from the oven, since that is when you can really smell the spices as you bite in through the slightly crisp top to get to the tender center, but they’re also tasty at room temperature. I serve these as-is and typically pair them with cups of hot coffee or tea. In a large mixing bowl, whisk together flour, oats, baking powder, spices, salt and sugar. In a medium bowl whisk together eggs, buttermilk and vanilla extract. Make a well in the center of the dry ingredients and pour in egg mixture. Add in prepared mincemeat. Stir until the wet ingredients are almost fully combined and only a few streaks of flour remain. Pour the melted butter into the batter, then stir until butter is completely incorporated and no streaks of dry ingredients remain. Divide evenly into prepared muffin pan (muffin cups will be very full). In a small bowl, stir together topping mixture of sugar and cinnamon. Sprinkle evenly over the muffins. Bake for 18-20 minutes, or until a toothpick inserted into the center comes out clean.